Now I'd like to tell you about event I attended. Well this is event report Beauty Workshop - Ambassadors & Member Clozette Indonesia was held on 7th February 2015, at Ampera Commercial Six Building, Jakarta.The event start from 10.00 AM until 12.00 PM with dress code: touch of pink. I am glad to meet with so many Clozette Ambassador and members. The event went amazing! This event started with some brief opening from Mr. Rasyefki Sultani and introduced us some of staff from Clozette Indonesia and than the representative from Beauty Box explained about all the products and introduced us to their best collection beside Glam Glow Musk is APOTCARE. APOTCARE is skincare products and famous with serum eyelashes can grow eyelashes in just over 2 weeks. There was also Boho cosmetics is brand that using natural ingredients. We can also try all of them skincare and cosmetics from Beauty Box. This event not only for the ambassador, Clozette also invited the members. The workshop there are Skin care for beauty routine, Skin care with instant routine, Hair care (tips & trick) and Spring Summer Make Up – Ruby Belle (demo). There were makeup demo by Beauty Box. The makeup demo theme was usefull to Fabulous and there was as a volunteered as a model that time. The MUA also gave us a trick in applying eye brow with eye brow pencil. The trick are used the side of the pencil and draw the eye brow in one stroke to get a smooth finish. Also, they gave us important tips and trick on make up. There was also Clozette Ambassador awards, Such as the high social beats won by Lulu Elhasbu, has the most followers won by Theresia Junita, has the highest load up won by Sophia and the last the most highest social beats all the time won by Ina. Congratulation all. Before we go home we had take a photo together and mingle time. 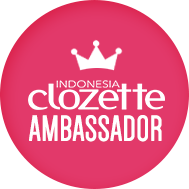 Ok, Do you want to join with Clozette Indonesia? Clozette always have so many contest and some prizes. 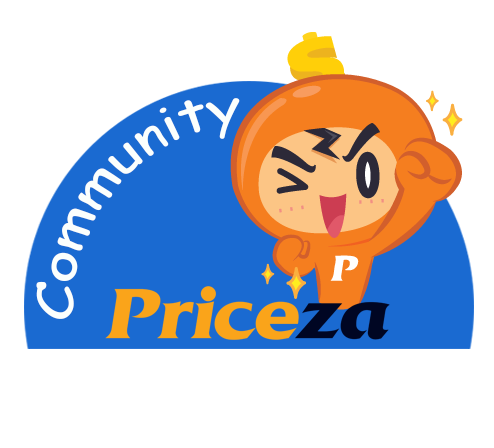 if you sign up in Clozette Indonesia you can get opportunity to join lucky draw to get the awesome prizes from Clozette Indonesia. Well, what are you waiting for? There are many advantages that you can get in Clozette Indonesia? Sign up now and drown in fashion social network where you can share, discover, and shop! Well, that is all wrap! I really hope you enjoy this event report. Thank You Clozette Indonesia and Beauty Box! I will do a review goodie bag products soon! Thank you so much for reading, I hope you enjoyed this post. I really appreciate it if you willing to give me some comment or advise below, then I can improve my post. see you on my next post and don't forget to follow my Blog, IG. FB and Twitter. Now I want to review a brand new Japanese cosmetics Face Recipe Lip Color Nursing Lipstick. I know for almost ladies only one lipstick is not enough so now you can check about this japan cosmetics. Well... I have never heard of the brand Face Recipe before. This is a beauty product came from Japan (I know from the marketing hehehe). I got this from Copia Beauty. This lipstick claim moisturizing lipstick combined with high pigmented formulation offers your lips beautiful and natural shine. The formula glides on smoothly and gives long wearing effect. Lip color nursing is perfect on its own or wearing with your favorite lipgloss. So now let me to share this product :). The lipstick comes in a black cylindrical case with a white bearing its name, and has a shade indicator number on the bottom but not show the color, you have to open the lid in order to know what color the lipstick is . The cap shuts with a distinct click and although it keeps rotating when the case is shut, there are little chances the cap will come off until pulled open. But they don't put the ingredients! The formula these lipsticks are creamy. Seriously, these glides on very smoothly and does not feel heavy on the lips too. The lipstick is a rich red shade, tending to maroon. It is attributed with a smooth creamy texture that glides effortlessly on lips. A swipe is sufficient for the vivid red to show on your pouts, but two more give the most intense pigmentation and you are ready for the party. How to use: Apply on lip (not your nose hehehe). Great quality with affordable price. Overall, it is a richly pigmented, moisturizing and creamy lipstick, but this particular shade limits its wearable to festive occasions. I like the color, but I think one would be sufficient since I wouldn’t wear it often. I would like to own different colors from the same range. Okay that's one of the products that I get from Copia Beauty Indonesia. Thanks you so much for reading, I hope you enjoyed this post. I really appreciate it if you willing to give me some comment or advise below, then I can improve my post. see you on my next post and don't forget to follow my Blog, IG. FB and Twitter. Today I am going to review another brand from Japanese brand cosmetic. This time is Face Recipe Triple Glam Shadow, that I got from Copia Beauty. I really excited o try it. Be creative with these 3 eye shadow colours and get ready to dazzle with your style. I like this packaging, it's look really professional, elegant and so classy. Also there is mirror inside, and I like the applicator. Anyway, overall I really like it because it looks very stylish and professional. But they don't put the ingredients! This specially formulated eyeshadow is long-wearing and can be easily blended. Create any looks from edgy to formal with Triple Glam Shadow, oil absorber. I think this is high performance particle powder, full coated particle, soft and silky. Let me swatch this baby for you: White (Shimmer), Green (Shimmer), Blue (Shimmer). Lovely! The colors are gorgeous and glamorous. The texture is soft and easy to blend. I guess I don't need to say more about the pigmentation as you see on picture above. Really great, right? The pigmentation is amazing! Yes, although without any eyeshadow base. All of the satin finish are very build-able. If we applied them heavily we can get subtle frosty finish with soft pearlized shimmer, but not glittery. This is just the kind of eye shadow I find perfect for my preference. The shimmer is not too much, it's wearable for daily and for special occasion. They are quite powdery so I have to make sure to tap the excess off before applying on my lids. Apart from that, all three shades feel very silky. But they still work very well on my eyelids. Also they blend easily and above all, they don’t crease at all on me. I still recommend to use an eye primer beforehand. The eyeshadows will be more intense. Based on my own research, if you want the color more show up and last long you can apply white colored eye base before. If you only want the color last long you can use transparent eye base. How to use: Apply on eyelids using brush. Gently blend for perfect finishing. 1. I used NYX eyeshadow base all over my lid using my finger. 2. Used white eyeshadow in to the inner eyelid. 3. I used the green eyeshadow in the middle of eyelid to the outer eyelid. 4. Used the blue eyeshadow apply in the outer "V" sweeping into the crease. 8. I lined my water line with Revlon Grow Luscious Black pencil eyeliner and smudge out using the darkest shade. Highlight the inner corner of the eye with the white shade. 9. I applied Lavie lash Blubell. Overall, I love this eyeshadow! What I LOVE about this product: Brilliant shades, great pigmentation, all the satin finish have consistent textures and finishes, the finish are very soft and not chalky at all and since they are pigmented and affordable price RP. 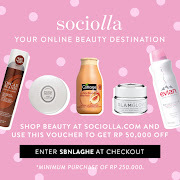 135k at Copia Beauty store near you, or get online from Copia Beauty, what can I say more? I love them! 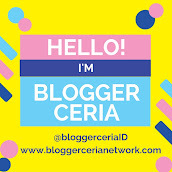 Kali ini aku pakai bahasa indonesia ya hihi biar cepet kejar deadline because so many event report yang harus aku buat hehehe.. Acara ini diselenggarakan pada hari Selasa, 10 Februari 2015 di Gerbera Room Hotel Mulia, acara dimulai pukul 17.00 WIB - 20.00 WIB, dengan menggunakan dresscode hitam-putih. Boot make up wardah yang dapat dicobain semuanya. First of all, congrats for the launching New product Wardah Eye Expert yang pastinya makin lengkap saja produk kecantikannya. This event Wardah launching the new product with Perfectcurl & Aqua Lash Mascara. Both of them diformulasikan dengan intense black color pigment untuk menghasilkan bulu mata hitam dan sempurna. fast drying formula sehingga nyaman dan mudah digunakan serta clumps free saat diaplikasikan. Keduanya telah tersedia diapasaran sejak bulan November 2014 namun dilluncurkan secara resmi hari ini dengan kombinasi formulasi dan teknologi yang disempurnakan untuk memberikan hasil lebih optimal. Acara dibuka oleh MC dan sambutan oleh PR Wardah Elsa Maharani, kemudian demo make up oleh MUA Philipe Karunia untuk tips dan bold eye look dan Carolina Septerita sebagai MUA Wardah memberikan demo dan tips romantic eye look. Selanjutnya ada bincang-bincang mengenai launching produk terbaru dari Wardah. Perfect curl mascara hadir untuk tampilan bulu mata tebal, panjang dan lentik natural sepanjang hari hingga 24 jam dengan 4 keunggulan utama: Curl Lock Power, Breathable formula, Argan Oil+Vitamin E, Clumps Free Formula. Mascara ini dijual dengan harga Rp. 62.500,- dan bisa didapatkan di Wardah store, Modern market dan traditional market di seluruh Indonesia. Wardah Eyexpert Aqua Lash Mascara diformulasikan berbahan dasar air (water based technology) dan mengandung fiber yang secara optimal membuat bulu mata tampak lebih panjang seperti menggunakan lash extension namun terlihat natural dan terasa ringan. Cocok untuk tampilan sehari-hari. Plus sangat mudah dibersihkan hanya dengan menggunakan air sehingga praktis. Mascara ini dijual dengan harga Rp. 45.000,- dan bisa didapatkan di Wardah store, Modern market dan traditional market di seluruh Indonesia. Wardah EyeXpert juga menghadirkan Eye Makeup Remover khusus untuk maskara dan eyeliner yang memiliki daya tahan tinggi. Diformulasi dengan dual action formula serta one-wipes cleansing power, membuat pembersihan menjadi sangat mudah dan cepat, alcohol free sehingga lembut, nyaman dan tidak perih dimata. Eye Makeup Remover ini dijual dengan harga Rp. 25.000,- (50ml) dan Rp. 38.000,- (100ml) dan bisa didapatkan di Wardah store, Modern market dan traditional market di seluruh Indonesia. Acara dilanjutkan dengan lomba make up mata bertema stardust night dan juga pemilihan best dress. Yuhuu bisa mencoba mascara dan produk-pruduk dari Wardah. Narsis bersama teman semeja Mey, Thea, Saya, Stela, Shella, Via. Well, that is all wrap! Overall I'm having so much fun there. My Last Word. Big Thanks to Wardah Beauty for the Entertain and the goodies. KEEP IT ON guys to make all the girls over the world beautiful. I'm so happy being the part of this Wardah Beauty event ! :) I will do a review goodie bag products soon! 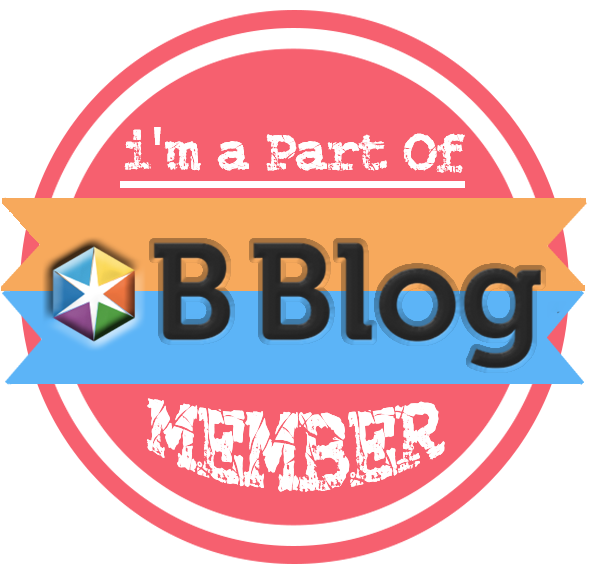 Thanks you so much for reading, I hope you enjoyed this post. I really appreciate it if you willing to give me some comment or advise below, then I can improve my post. see you on my next post and don't forget to follow my Blog, IG. FB and Twitter.